Rosemary T. Hinkfuss, age 84, of Green Bay, passed away in her sleep in the early morning hours of Wednesday, March 2, 2016. Rosemary was born on September 30, 1931 in Lima, OH, the daughter of William and Marie Walsh. After graduating from St. John’s High School in Lima, OH in 1949, Rosemary earned a scholarship to Cardinal Stritch College in Milwaukee. For the first 2 years of college, Rosemary taught grade school in Spring Green, WI while taking college classes on the weekends before eventually attending class full time. Rosemary earned her undergraduate degree in education and graduated from Cardinal Stritch in 1954. While at Cardinal Stritch, Rosemary met her future lifelong partner and husband, William Hinkfuss, who was a student at St. Norbert College in De Pere, WI. Bill and Rosemary were married on September 24, 1957 at St. John Catholic Church in Lima, OH and shared a rare, lifelong love. After marriage, the young couple lived in Washington, DC where Bill was attending Georgetown Law School and Rosemary taught grade school. While in Washington, Eileen, the oldest of their 6 children, was born. Upon graduation from law school, Rosemary and Bill relocated to Green Bay, where they proceeded to live and raise their family for the duration of Rosemary’s life. In quick succession, Timothy, Paul, Mary, Anne and Christopher were born between 1959 and 1965. In between raising 6 children, Rosemary became involved in politics, first as a volunteer on President Kennedy’s 1960 campaign and later on several other campaigns. Rosemary then decided to run her own campaign and in 1974, she successfully ran for the Green Bay City Council and Brown County Board of Supervisors. She served with distinction on both until 1982. 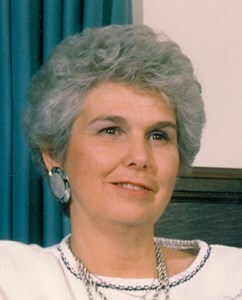 In 1988 Rosemary reentered the political arena by running for and winning the seat for the 88th Assembly District, which she represented until 1994. In addition to her service through politics, Rosemary served on a number of boards. In 1980, Rosemary was the first female named to the Green Bay Packers Board of Directors, serving in that role until 2001, when she became a Director Emeritus. This role, which Rosemary cherished, combined her love of the Packers, service and the greater Green Bay community. Rosemary also served on the Wisconsin Ethics 2000 Committee for the Wisconsin Supreme Court, the Premontre High School Board of Education, the Girl Scouts of America Board of Directors, the YMCA Board of Directors, the Founding Board of Green Bay Montessori and St. Mary of the Angels Parish Council and served as President of the Catholic Woman’s Club. Among awards, Rosemary received the 1991 Environmental Decade Award and the 2014 Lifetime Achievement Award from the Brown County Democratic Party. Another one of Rosemary’s passion was the card game bridge. Over the years, Rosemary thoroughly enjoyed playing bridge with family and friends and in tournaments around the country. Rosemary’s skill allowed her to achieve the status of Life Master of the American Contract Bridge League. Rosemary was also an avid reader and an enthusiastic member of 2 book clubs. Rosemary’s years of public service positively impacted the lives of countless individuals. Rosemary gave tirelessly of herself to others, cared deeply about the plight of all individuals and strived to create opportunities for those without a voice. These values reflected the lessons she learned and the beliefs instilled in her in her early years during the Depression in Lima, Ohio. Through her actions, Rosemary provided strength and conviction for the broader Green Bay community, particularly those who would otherwise be unrepresented. Rosemary’s dignity, character, warmth, frankness and vision truly made this world a better place for all. Through all of her years of public service, Rosemary always prioritized family. She was a fierce advocate for her children and a loving, nurturing and supportive mother, grandmother and wife. Politics and campaigns were woven into the fabric of her family, creating opportunities for togetherness and demonstrating the importance of winning and losing with grace and dignity. Rosemary was firm in her convictions, willing to push boundaries for the benefit of all; her spirit could not be quashed when convinced of the justness of her cause. Rosemary consistently provided a shining example of a life lived well and with purpose. Rosemary’s journey on Earth has now ended, but her legacy will live on through her family and the many others she inspired. Rosemary is survived by her husband, William Hinkfuss; her 5 children: Eileen (Preston) Long, Timothy (Kathy) Hinkfuss, Paul (Sally) Hinkfuss, Mary (Andy) Collins and Anne (David) Perkins; 6 granddaughters: Sarah (Ryan) Zampardo and Katie Hinkfuss, Caitlin Long, Madeline and Marie Hinkfuss and Molly Perkins; 3 grandsons: Alex Long, Andrew Hinkfuss and Michael Hinkfuss; 1 sister, Ruth (Mike) Bruin; sister-in-law, Helen Hinkfuss; brother-in-law, Daniel (Enrite) Hinkfuss; numerous nieces and nephews and many other relatives and friends. Rosemary was preceded in death by her son, Christopher Hinkfuss; her parents, William and Marie Walsh; 6 sisters: Jeanne Ann Parent, Eileen Finn, Pauline Lamantia, Janet Blust and Sr. Sally “Adrian” Walsh; 2 brothers, Rev. James and William Walsh; her father and mother-in-law, Albert and Emma Hinkfuss and several aunts and uncles. Friends and relatives may call at NEWCOMER FUNERAL HOME, (340 S. Monroe Avenue, Green Bay), Sunday, March 6, 2016 from 3 to 6:45 PM with a prayer service at 7:00PM. Visitation will continue at ST. MARY OF THE ANGELS (645 S. Irwin St., Green Bay), Monday, March 7, 2016 from 9:30 to 10:45 AM. A Mass of Christian burial will be celebrated at 11AM. In lieu of flowers, a fund has been established at the Green Bay Community Foundation in Rosemary’s name. Rosemary’s family would like to thank Rosemary’s many friends, supporters and followers who have bestowed our family with their love and support. Add your memories to the guest book of Rosemary T. Hinkfuss. Again I was traveling and not able to attend Rosemary,s funeral. We first met as (moms) of exchange students and enjoyed a sporadic friendship over many years. I always think of the difficulty of having lunch with Rosemary because of her many friends stopping by to say hi. I used to tease her about her perfect diet of not having time to eat. But of course it was worth the interesting conversations. Rosemary was one a kind, intelligent, interesting, funny and stimulating. We loved sharing stories of our children and just sharing our droll sense of humor. I will miss her and also CHristopher. My life was enriched by knowing rosemary and my love goes out to the family. I am so sorry to miss the funeral. I was out of the country. Rosemary was a very special person. She has left me with many memories and has inspired me to also contribute to my community. Rosemary was an inspiration to many of us who loved politics. She will be in our prayers and memories. May perpetual light shine upon her forever. Amen. Rosemary touched many lives. I was fortunate to know her in my younger days. She was a person of 100% class and compassion. Specifically I remember Rosemary (Rep. Hinkfuss as I addressed her) when she took time and joined together with every elected official in the area, including Mary Lou, Lary, Sen. Jerry, and Mayor Sam...And presented the Key to the City to our school for a Christmas Album our choir was nationally chosen to make at Saint Norbert's Abby in 1992. My condolences to the family. My prayers and condolences to the Hinkfuss Family. I spoke with Rosemary on several occasions at events during my years as Chef at St. Norbert College. She was always very nice and took time for a personal conversation with me. I also remember Tim as an SNC student going through the cafeteria line-always well-mannered. We send our sincere sympathy to all of you. We know Rosemary will be deeply missed. She has been a very active person and has accomplished much during her days on earth. May the many wonderful memories of the years together give you strength today and always. We were so sorry to hear of Rosemary's passing. She was a remarkable woman who made a tremendous impact during her lifetime, and we feel fortunate that we had the chance to get to know her. I have been honored to work with Rosemary in many capacities, she was a strong advocate for affordable housing, community development, the elderly, persons with disabilities, the City of Green Bay and Brown County. She was a strong voice for people that needed to be heard! Rest in Peace Rosemary! My condolences to Bill and family. We share in your loss of a loved one. We have always had a special bond with your family, ever since that day that Tim knocked on our door asking for our support when he was in the running for city alderman and then actually becoming close neighbors. Since all of that we have like almost part of the family, so your loss is also our loss. Life goes on but Rosemary will always be in our hearts and minds. Our sincere sympathy to all of you. Deepest sympathy Bill, Ruth & family..
My memories of Rosemary are the love she shared. with her brother Fr. Jim Walsh and her sisters. The yearly trip they all took together with "mom" also when she was still able Marie. The little gifts that Fr. Jim gave his "sister" as they took off for their adventure. How that family loved to travel! Beautiful family and I know they are celebrating in heaven to welcome her. your Arizona visits. I will always cherish your family. May God grant you Peace at this sad time. Amazing woman I will always look up to! My prayers to the family. Our deepest sympathy on the passing of your dear wife and mother. We shall miss seeing Rosemary at the Democratic gatherings. Please accept our very deepest sympathy upon Rosemary's passing. We were so grateful to have been a part of her life. We hope that fond memories of wonderful, funny, loving times spent together will help during this difficult period. Losing a love in death is always challenging. The bible offers hope of a resurrection of both the righteous and unrighteous, which offers hope to those of us still here. May the comfort from the scriptures help you in your time of comfort. My thoughts and prayers are with Rosemary's family. She was one of the kindest and most thoughtful people I encountered during my years in Green Bay. I'm sure she will be missed. My deepest sympathies in your loss of Rosemary. I will always remember her as a friend, a mentor, and an inspiration. Over the years, I had so many opportunities to work with Rosemary for political causes and campaigns, to enjoy social events with her, and to be part of the fabric of the Brown County Democratic Party with her She has left an indelible mark, to be sure. I so often think of Rosemary telling me that her role as a mother/grandmother was to "be available." She wanted to make sure that when her family called, she would, indeed, be "available" for them. I now follow that mantra. I am sorry not to be able to attend Rosemary's services, as I am out-of-state. Until I return to Green Bay and see you again, please know that my thoughts and prayers are with you. Mark and I would like to let you know how sorry we are to hear of the passing of your mother. Our deepest sympathies to you and know you are in our thoughts and prayers.